Next Monday Apple will unveil more details about the Apple Watch. The event in Autumn 2014 revealed the Watch's existence, with a ship date of early 2015, but was short on some of the details. We know there will be a number of editions of the Watch and the price will start at $349, but we do not know the full price range and many of the features of the Watch are a mystery. 1/ battery life: this will be a key element as I would expect the Watch to last a full day. Anything less will be irritating as you will need to remove it in the middle. The idea of topping up your watch in your car or at work might put people off. We really hope Apple can stretch the battery in the Watch to a reasonable span, such as 12 hrs or more. 2/ health: it would be wonderful to think that the Watch would track heart rate and blood sugars- I know this is almost impossible. But as a diabetic I would like to think that the Watch could communicate with other gadgets for health and make health info a more regular part of life, not something you need to find out at your doctor's surgery. Blood pressure will be possible with the sensors, so I will be watching with interest. I will be disappointed if it simply also tracks steps and distance, the same as any other Nike-type monitor. 3/ connection to iPhone and Mac: how are we going to load apps and sync info to the Watch (music etc). I still am not a fan of the way this is organised in iTunes- installing and arranging apps in the iTunes window is fiddly at best. 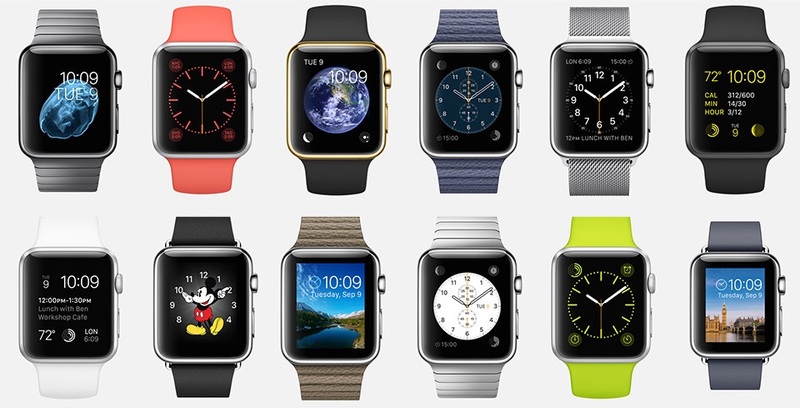 I hope Apple have a great way to organise your content for the Watch. 4/ tactile communication: the ability to send a "buzz" your Apple Watch friends is great. I love the idea of this way to communicate- more than text or email. It is a physical way to communicate and this will be catchy. It also works for routines- the Watch will vibrate if you have not stood up in a while- good for those of us looking after bad backs! Apple seem to have thought through the personal side of the Watch, and the ability to vibrate on your wrist is far more immediate and intimate than a buzzing iPhone. This will be an interesting one to keep an eye on as it could develop into a whole new, personal, way to communicate. 5/ security: the Watch strikes me as the new thing too steal, and so I will be interested to see if Apple have thought this through. The iPhone is now a nightmare for a thief as the user can use Find My iPhone and can lock/wipe the device. We hope that the Watch, so publicly visible on a wrist, has these types of features and more. 7/ price: this thing won't be cheap! The starting price point of €349 is for the most basic version, but we expect the range to be big, and into the thousands. The more limited edition Watch, with gold, is likely to have an eye watering price to match. It is also likely that most people will be spending around $400-500 after they have selected a better strap or gone for a slightly better face. 8/ sizes: the Watch comes in a 38mm or 42mm size and I hope that Apple do not market this as a "ladies and gents" versions. I really hope the point of the sizes will be personal use and not gender based. If you look at a traditional jewellery store, the smaller watches are for women and the larger faces for men. This irritates me and hope that Apple stick to breaking this type of gender-based stereotype. It would be nice to see the faces as a personal choice, the same with the straps. 9/ don't expect this in your local shop: the Watch is likely to be an Apple-only purchase, so for Ireland it will be bought on the Apple online store. I do not believe that they will supply the Watch to third-party retailers, at least not at the beginning. Given the number of faces and straps available, this is a custom-build, so online shopping makes more sense. But there again not being able to hold or touch a Watch in Ireland before purchasing could be a problem. Strong demand at the start will mean that Apple won't care about this, but expect to see Apple Watches in stores in a few years time as the product matures. 10/ this is the new iPod: the iPod range has not been updated in a few years and this is likely to continue. 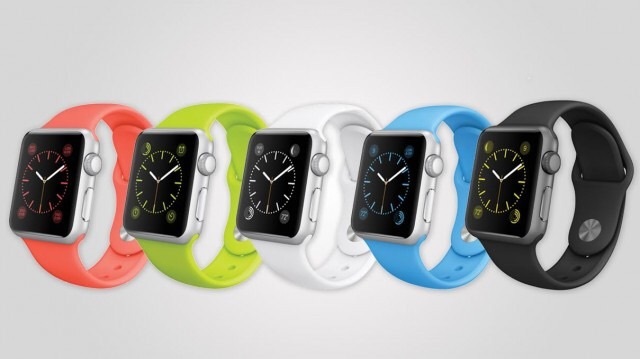 The Watch, along with Bluetooth headsets, is likely to be the new iPod. 11/ what does the Digital Crown do?? The dial on the side of the Watch has not been discussed in detail. Look out for more news on this on Monday. Tim Cook did not refer to its purpose in the Autumn release. 12 surprise: Apple almost certainly held back on revealing significant functions of the Watch, so that this is revealed closer to the launch date. This means that competitors do not have time to try to copy its features. Expect a few show-stopper features to be revealed next week. We look forward to learning more on Monday.